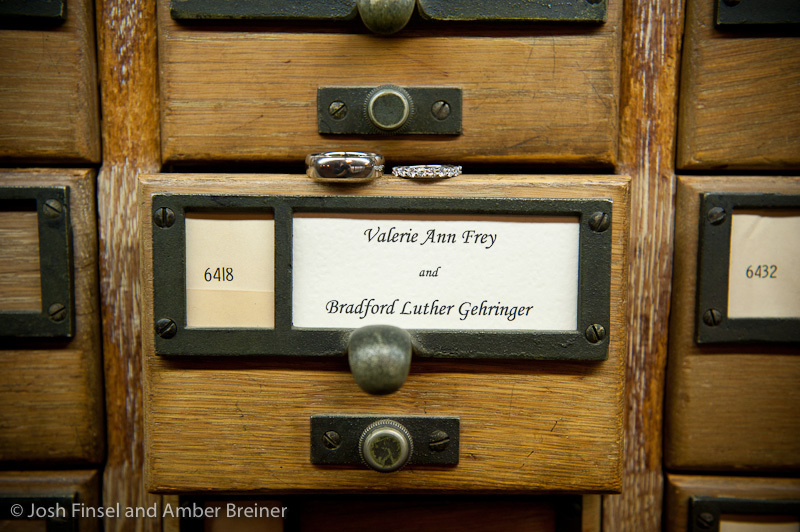 We first met Val in Pennsylvania over a year ago. 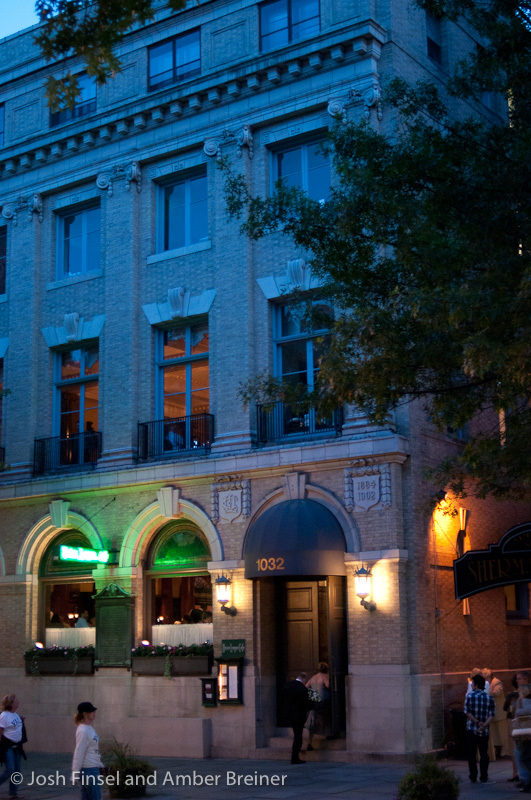 She met Josh and I at Mango's in Allentown and we had a drink, got a bite to eat and got to know each other in the process. 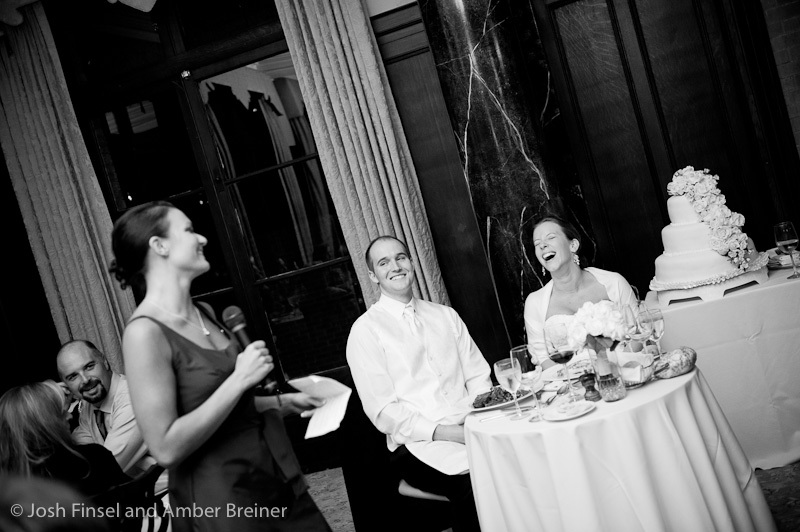 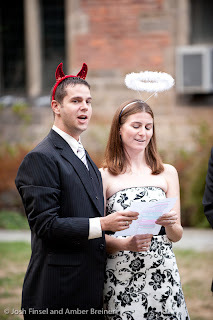 We were quite flattered that Val and Brad were looking into our services before they even booked their venues. Love it when that happens! 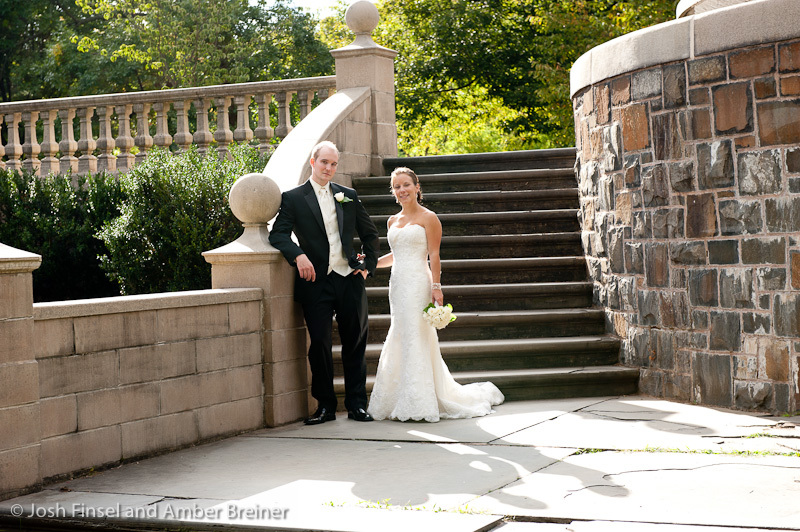 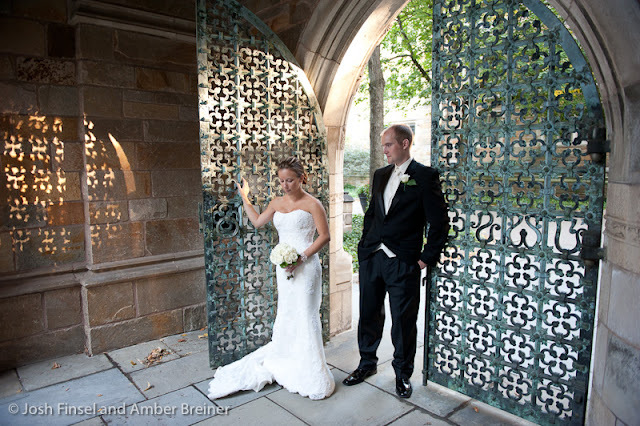 Brad and Val are both from the Lehigh Valley, but the couple was having difficulty finding a venue in the area that would both inspire them and make them feel good about their investment (as in a family owned or ethically managed business or non-profit). 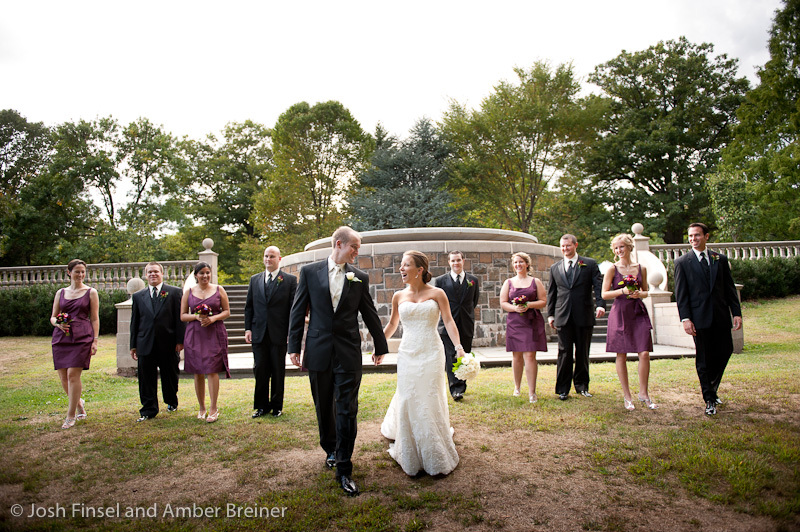 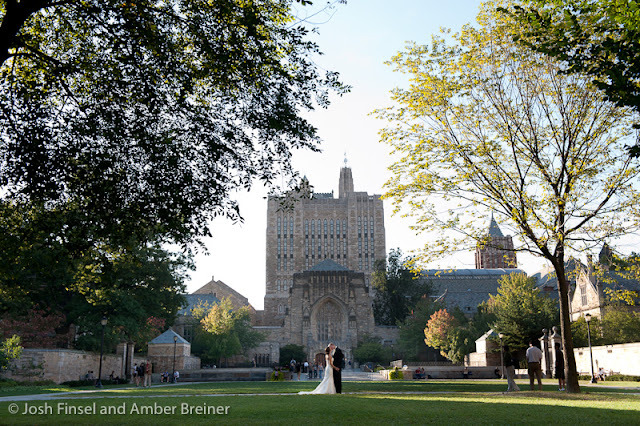 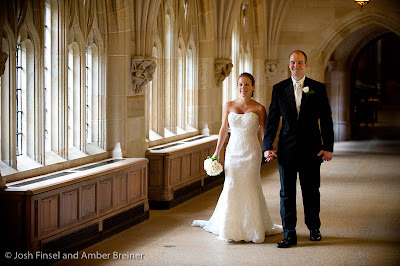 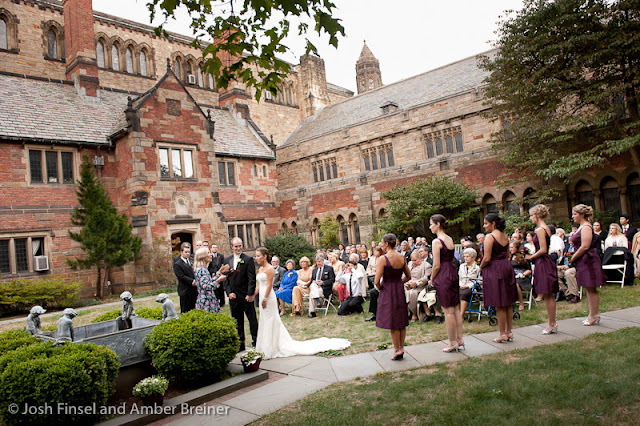 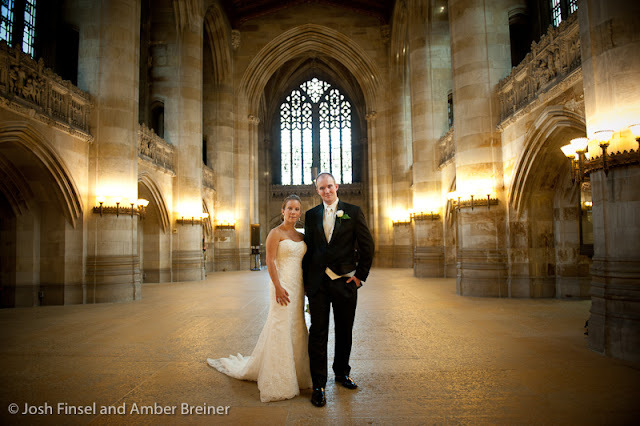 They considered many options but ultimately decided to host the wedding in their current city, New Haven, CT, and turn it into a destination wedding for many of their friends and family. The bride and groom both got ready in their apartment and met privately in the living room for the first time that day. We did all the portraits (except for extended family shots) before the ceremony. 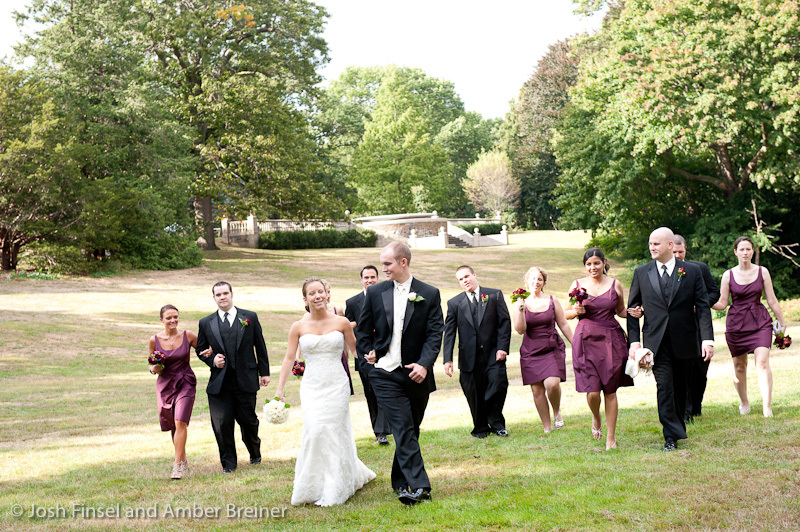 We gathered up the wedding party and immediate family and went to Edgerton Park for some fun portraits, then headed to the ceremony site where we spent some time alone with Val and Brad. 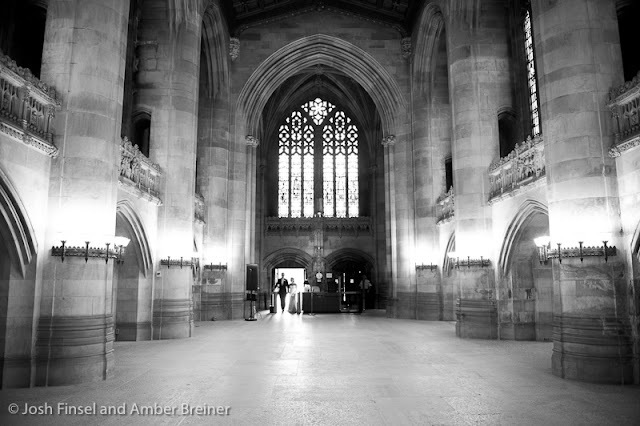 Yale's campus is beautiful, with gothic stone buildings at every turn. 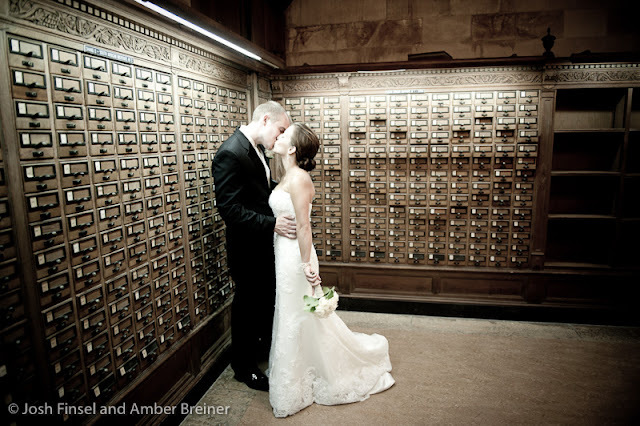 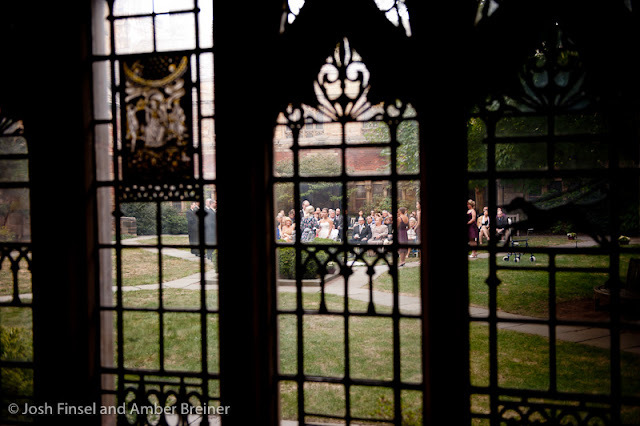 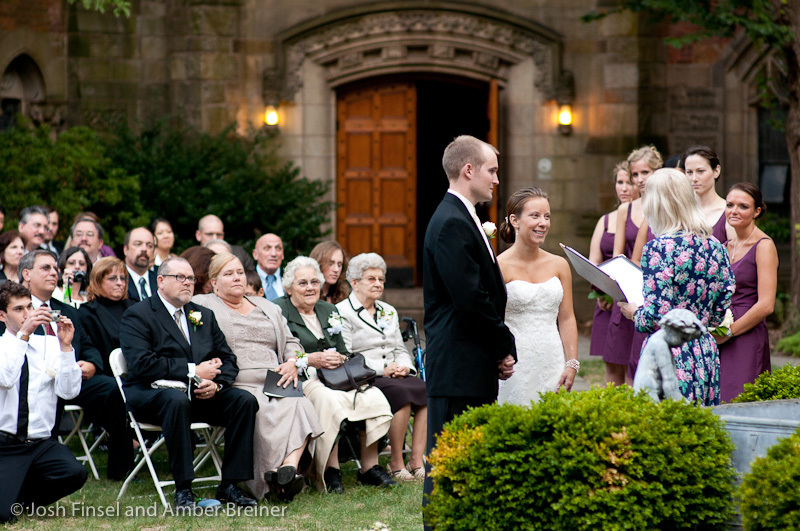 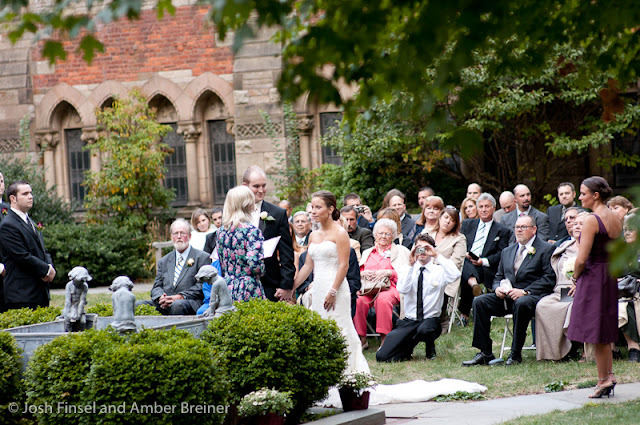 The ceremony took place in the courtyard of Sterling Memorial Library and the cocktail hour was held in the lobby and among the corridors that housed the old card catalogue. 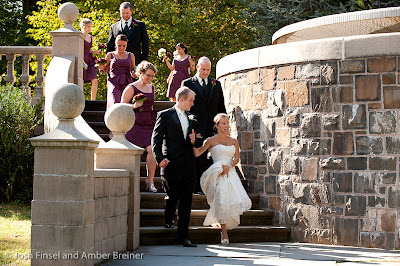 Then the guests walked the two short blocks to the elegant French restaurant where the reception was held. 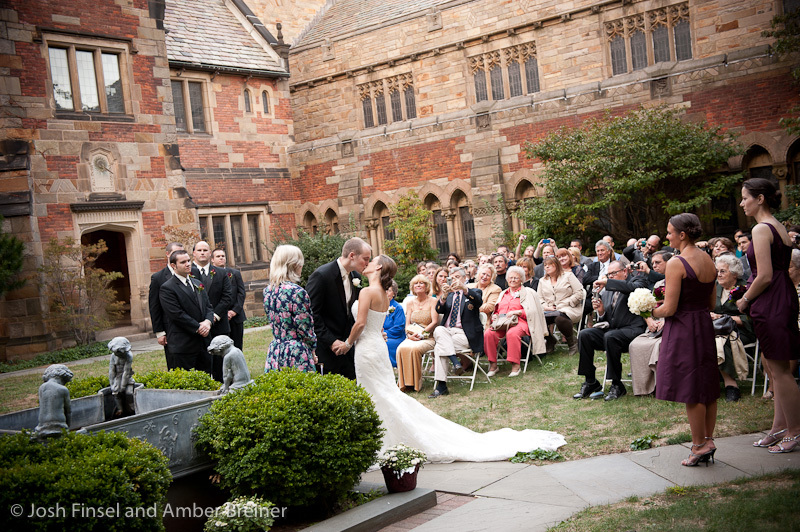 The Union League Cafe is a lovely wedding reception venue in New Haven, CT. 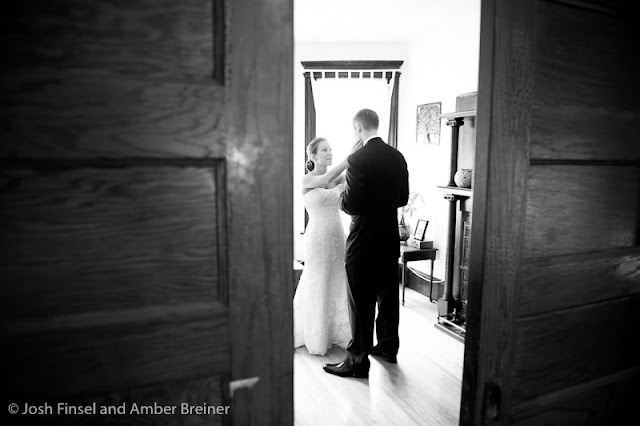 The food was excellent (thanks again V+B for feeding us so well!) 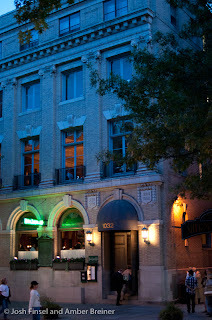 and the service exceptional. 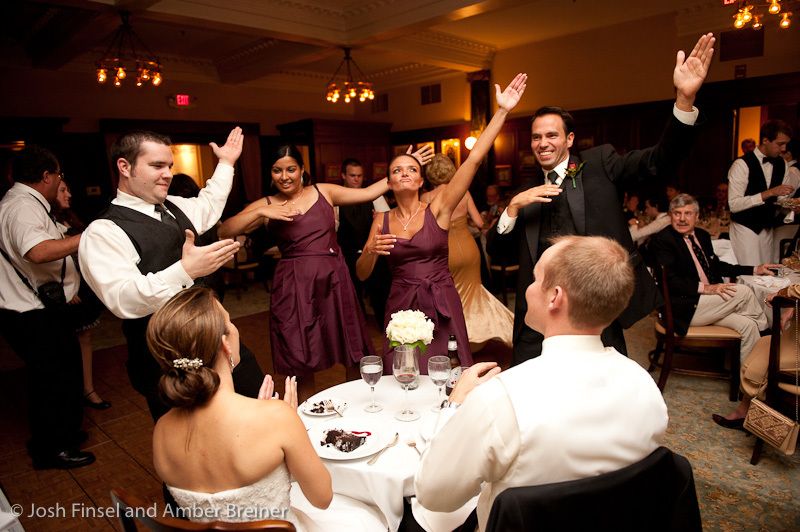 It had a classy and welcoming atmosphere, but perhaps the latter could be attributed to the friendly people the filled the room. 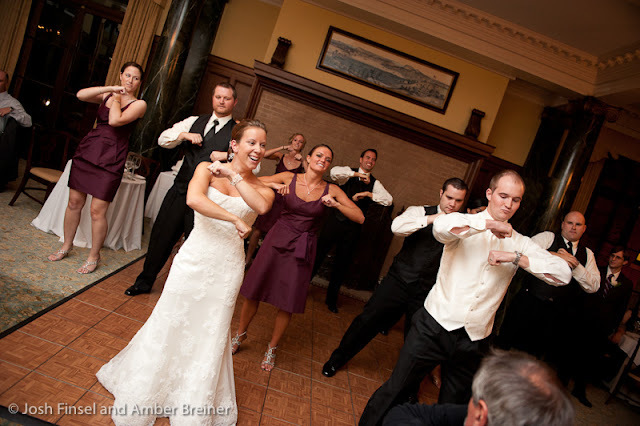 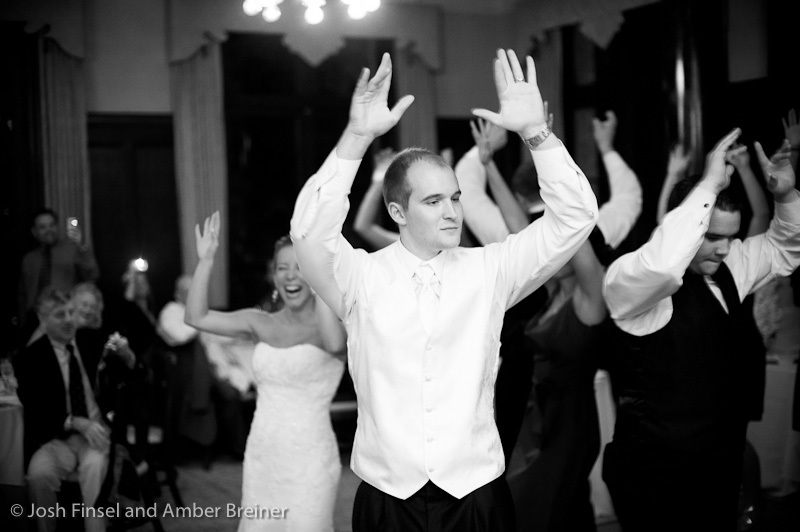 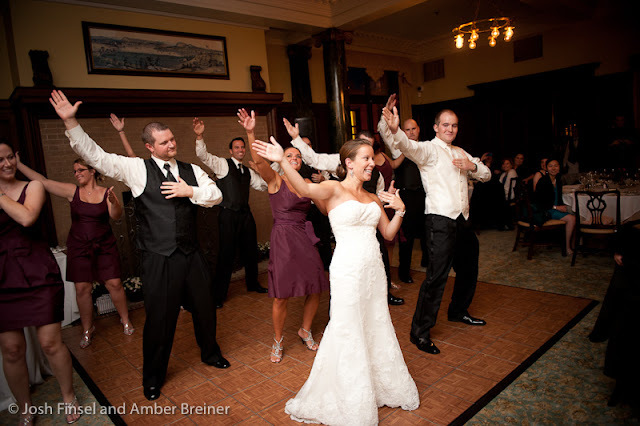 My favorite reception moments: When Brad and Val entered the reception with their wedding party, they all performed a surprise choreographed dance to "Jai Ho" from the Slumdog Millionaire soundtrack. 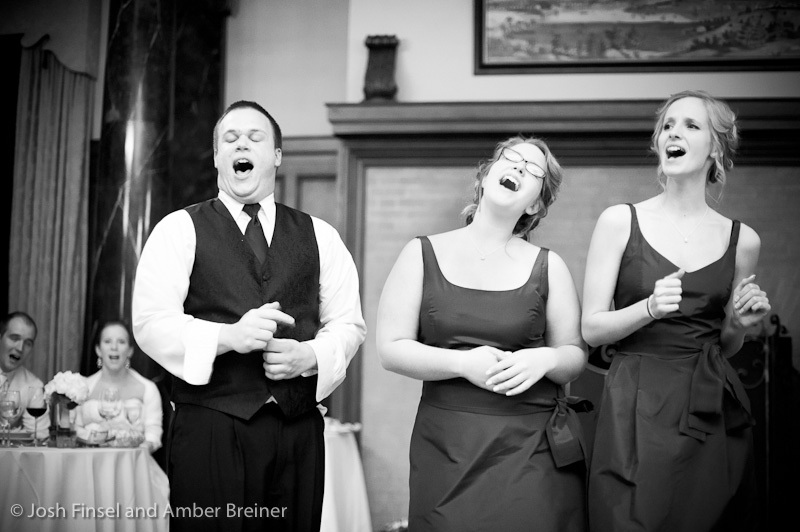 Val's brother and Brad's sisters performed an a cappella version of "You're Just too Good to be True" and had everyone singing along by the end of it. And Brad's aunt made a cake that was as delicious as it was beautiful. 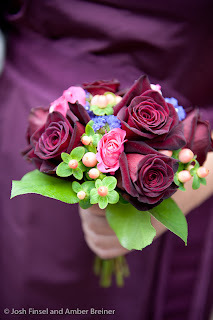 Credits: Wedding flowers by Jackie and Daughter in Kutztown, PA. 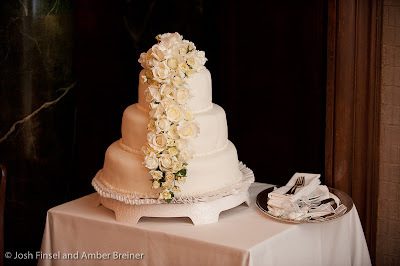 Wedding cake by Kathleen Ott of Allentown. 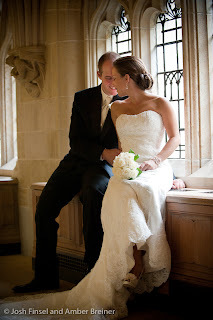 Bride's gown by Pronovias. 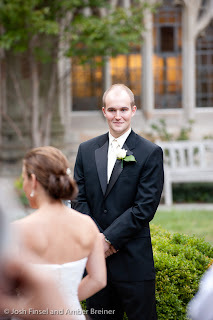 Groom's tux by Calvin Klein. 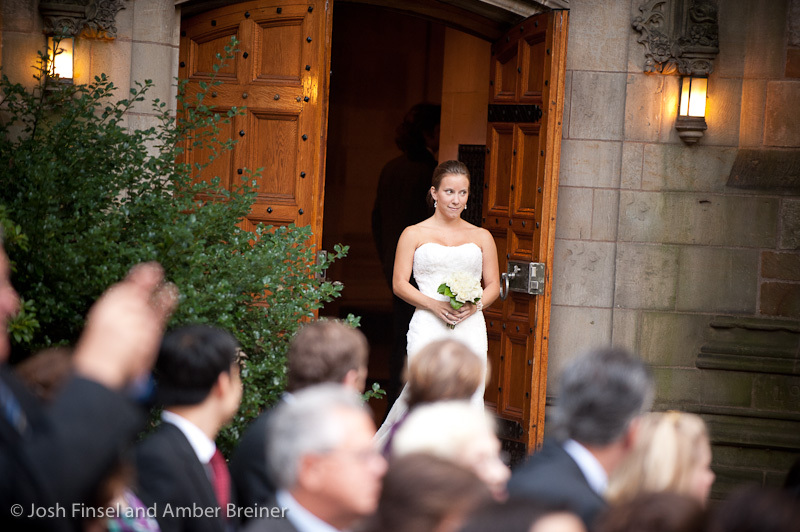 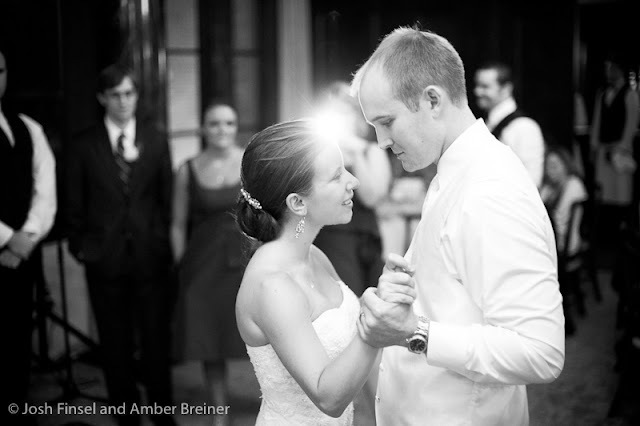 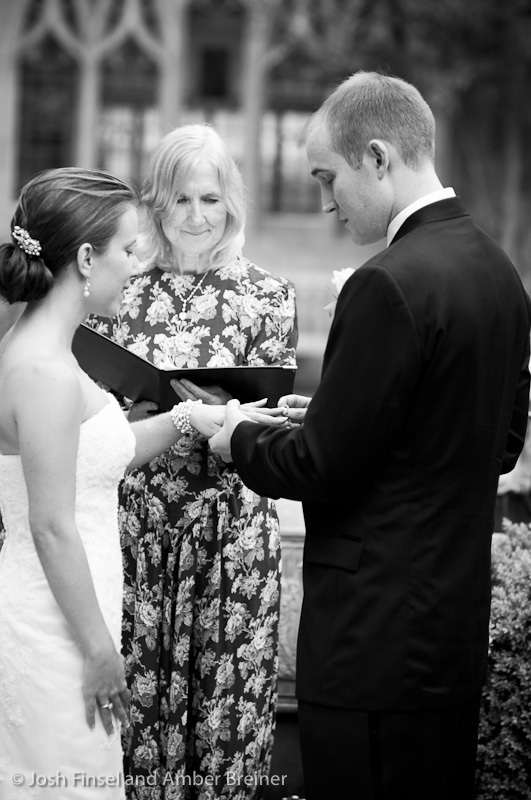 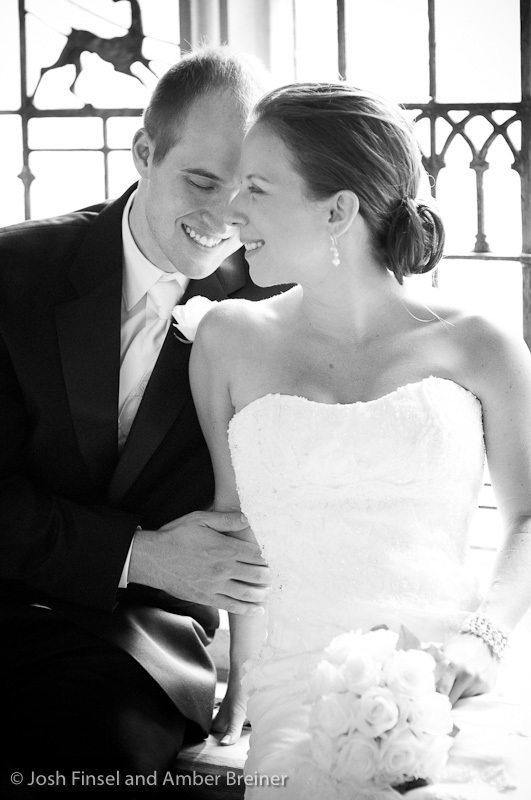 Search for weddings we may have photographed at your location!